November 21st, 1953. 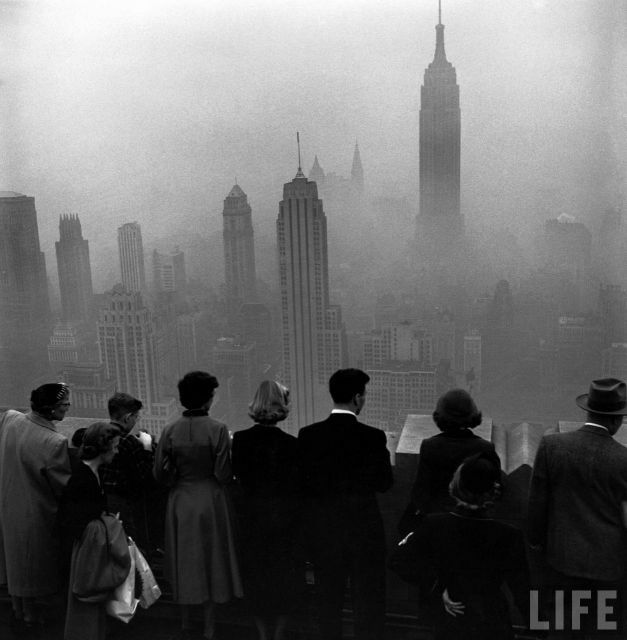 "Several people standing on the top of a building looking down into the downtown misty smog that is covering the Empire State and surrounding buildings." November 21st, 1953. 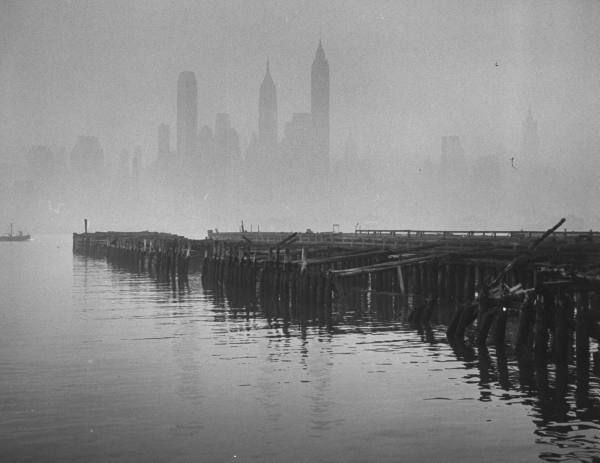 "Downtown New York dimly seen through smog mist hovering over the river where the rickety pier is in the foreground." November 12th, 1953. 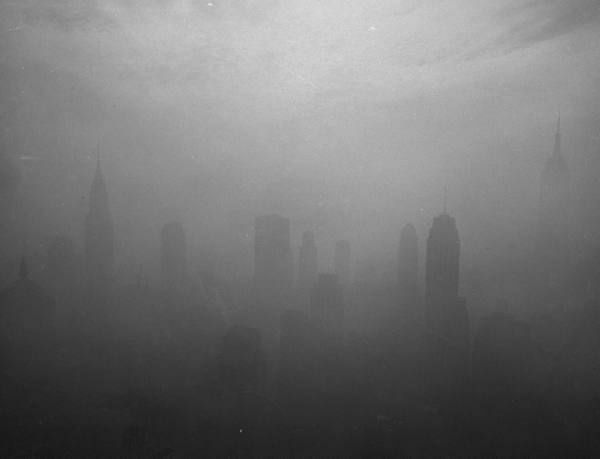 "Midtown scene showing the Chrysler Building, Empire State & surrounding buildings enclosed in clouds of smog under the downtown skyline." November 12th, 1953. 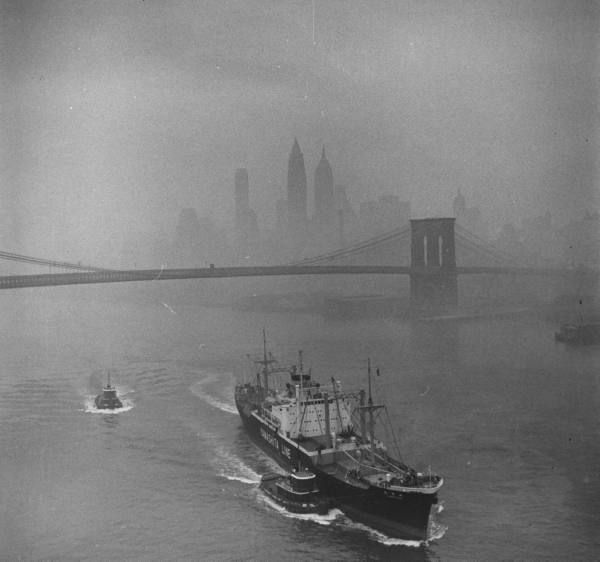 "Downtown New York dimly seen through smog mist hovering over the river where the Yamashita Line ship is coasting towards the bridge."